I hope you are all having a wonderful summer vacation post-Ramadan! I had the opportunity to take the most amazing trip to Cannes, France for the first time to Hotel Barriere Le Majestic with Cpasdelacom. Cannes is located right on the French Riviera right at Croisette Avenue, so naturally, the hotel rendered a refined and luxurious experience. To help you all plan your future visit to Cannes, today, I'm sharing my top tips on things to do in Cannes based off what I did during my stay! 1. Where to Stay: I highly recommend staying on La Croisette Avenue. Hotel Barriere Le Majestic is situated right at the forefront of all the action in Cannes. I was able to see the venue where the Cannes Film Festival takes place every year right from my balcony, along with the sea-front; it was such a magical experience and so much fun spending time on the balcony each night with an espresso and fruit. 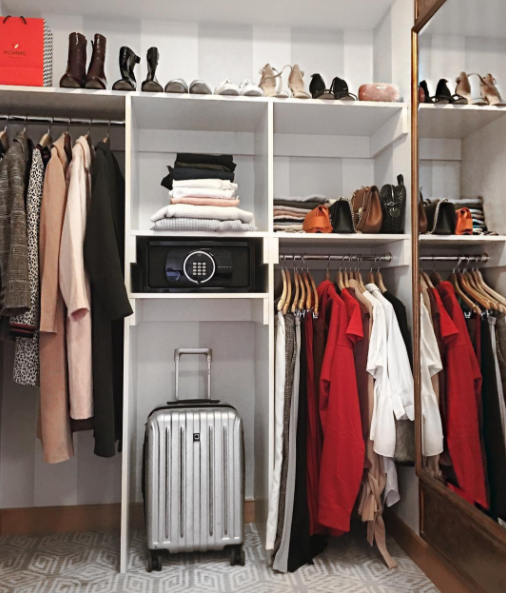 This hotel location will eliminate the need for any rental car because of all the exciting things to do on this avenue and easy access via walking. You can walk to and from your hotel throughout the day whether it be for breakfast at the hotel, a swim on the beach, and more! 2. How to get around: While we rented a car for our day trip to Monaco (only 30 miles away), we mainly walked by foot all day! There are so many little shops that have bike and scooter rentals, which looked like so much fun for a longer stay. The city is super small so you can get around most places safely between the alleys and avenues. It's easy to maintain a sense of direction with the city being based on the sea-front. The concierge at Hotel Barriere Le Majestic was amazingly friendly and welcoming and offered a variety of languages, especially when a lot of locations in France unfortunately do not have very many English speaking staff. They were able to guide us all throughout the city with maps and more. 3. Where to eat: We had the best lunch EVER at B'fire by Mauro Colagreco, situated at the beach front of the Mediterannean sea. 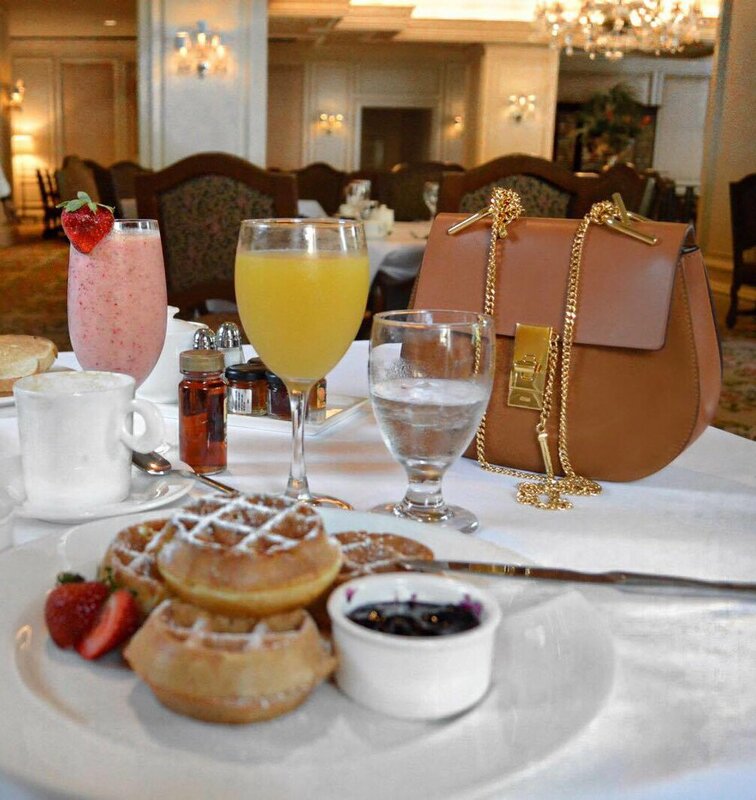 This restaurant belongs to Hotel Barriere Le Majestic, and the menu reflects everything beachy-healthy from citrus cheese salads to fresh salmon sandwiches. I am the biggest cheese lover, so naturally, the dining in France was super delicious! For dinner, I recommend heading to La Terrase du Gray. It's part of our hotel chain and is a short five minute breezy walk. We had some of the best salads and steak entrees there, as well as a delicious variety of ice cream desserts. The atmosphere is super eclectic, with a hint of luxury. Also, the staff is so friendly and welcoming, and speaks perfect english (as that can be a rare accommodation in France sometimes). 4. Where to go explore: On La Croisette, a mile-long promenade that skirts the shore, you can lookout on the sparkling Mediterranean and the hills. You can also take in all the glamorous pedestrians, which is a super fun area to people watch (and car watch all the luxurious rides). Along the board walk, there are plenty of cafes and restaurants, a mini amusement park for children with a merry-go round, bike rentals, outdoor events, and so much more! I would recommend taking part in all your exploring activities early in the morning, since many stores and locations tend to close after 7 pm. 5. Where to shop: Right at the entrance of the Hotel Barriere Le Majestic are plenty of luxury designer retailers that exude French elegance and class. The windows of these retailers will spark you with their French-inspired displays and outfit combinations. I always feel inspired after traveling and seeing all the colors and prints paired together. Also, Rue d'Antibes has some of the best designer shopping which is a short walk from Hotel Barriere Le Majestic. From Prada to Zara, you'll find so many stores to either window shop or pick out a few summer-vibe items. There are also so many perfume and pastry shops here! I ended up finding the best souvenirs at Fragonard which is a local perfume shop that manufactures everything right outside of Cannes and it was so cute for my mom, dad and even little brother! 6. Where to relax: On one of the mornings of our stay, we headed down to the Spa Diane Barriere at Hotel Barriere Le Majestic for one of their local treatments. The setting was so luxurious and calming away from the hustle and bustle of Cannes. The massages are super personalized to your preferences, and they have a chic waiting room with drinks and snacks before and after the treatment. I also recommend heading to the beach for a walk on the boardwalk. It's so breezy and a great way to experience the culture with all the locals walking around and enjoying an ice cream or drink on the shore. 7. What activities to do: I would recommend taking a ferry trip to the Lerin Islands. It was about a 20 minute boat ride on the Mediterranean sea to a historic island that now has museums and restaurants on there. It was where they based the story of the Man With the Iron Mask. It was a nice way to experience the sea and see the view of Cannes from ahead. Hotel Barriere Le Majestic kindly arranged this tour and the tickets from our concierge in the early morning! It was about a 15 minute walk to the Ferry Deck to reach the boat departure. Ultimately, I had the most amazing and relaxing time in Cannes with Hotel Barriere Le Majestic and I can not wait to make another trip to Cannes in the future! There's so much to do in the French Riviera, and you'll be sure to feel refreshed and inspired after this magical visit. From the deep blue beach to the global fashion to the rustic French elements of the city, I couldn't have spent my summer vacation a better way. Thank you Cpasdelacom for coordinating this amazing stay, and stay tuned for future travel posts! P.S Wael Kfoury will be in Cannes for a big live concert this summer at Majestic Beach this Sunday, August 5th, along with a contemporary dance ballet with the famous dancer Alexandra Cardinale. Be sure to plan your trip around that! Istanbul is THE most beautiful city I have ever been to. 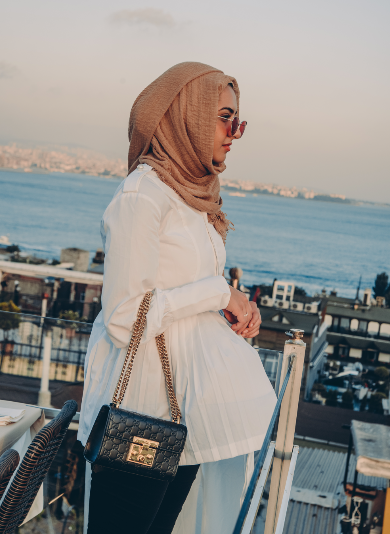 Ever since not visiting Damascus, Syria every summer, its been hard to find a city that feels so close to home-- but Istanbul definitely filled that void for me. From the breathtaking architecture, to the rich cultural and religious history, to the kind and hospitable people, I know I'll be back again. For todays post, I thought I'd share a mini travel recap of my few days there. 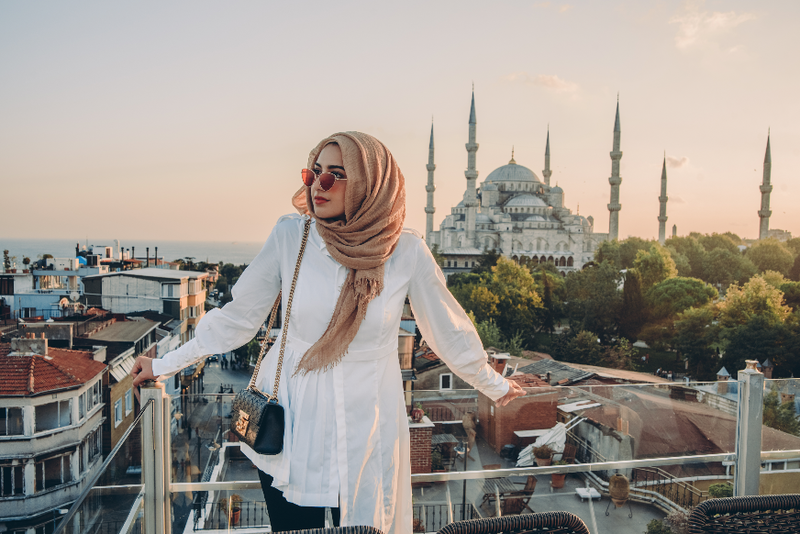 For anyone considering traveling to Istanbul, read through these next few bullet points, and I hope I'll inspire your next trip! P.S. I'll be sharing a separate post about my time in Turkey at the Tizaya Refugee Camp with Onsur Syria ASAP. Stay tuned for that! We've all seen the news lately, and it breaks my heart. 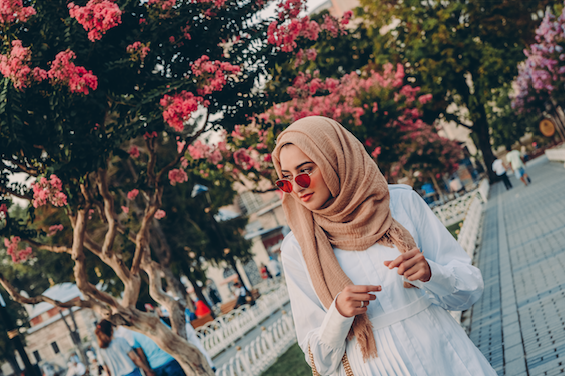 While it sometimes can be a bit of a repel towards tourism, attacks have become vulnerable to so many places in our world today so it's hard to try to play it safe. 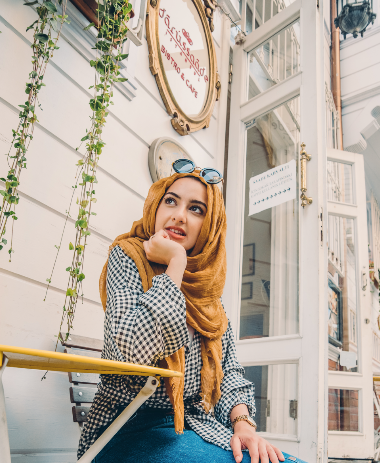 To be honest, I was a bit hesitant about visiting Turkey at first, just because of the overload of news, but once you're there, its like a whole different, peaceful world. With over 35 million people in Turkey functioning in their everyday lives, its hard to count the statistics from a likely attack in terms of the bigger population. The amount of security and metal detectors at every location was unimaginable. From entering the Grand bazaar to any of the mosques, to even standing in a crowded parade, there was security monitors, detectors and baggage screening. Even though it may or may not do much, it was an effort and display of authority. In terms of other safety, Turks are one of the nicest and helpful people you will come across. Whether out late at night or in a less crowded place, I always felt comfortable. I would be sure to avoid large crowds and public transportation like buses if still feeling uncertain-- by foot is always better! For my stay, I chose a boutique hotel that was meters away from the historical Sultanahmet square district. It was perfect. Super quiet at night and in the morning, and amazing walking distance from all the major tourist sites, restaurants, little shops and metro. While at first the location can be a bit confusing because of all the winding roads, you get the hang of it after the second day. The best thing about boutique hotels in Turkey, is that they all make an effort to have included breakfast on their rooftop, that way you always have a beautiful view of the city every morning. Turks take pride in their city, and they love sharing it with their guests. Some of the footage above was taken on a hotel rooftop near the mosque. The views are just unreal! 3. HOW MUCH TO BRING. Coming from the USA, activities in Istanbul are definitely less expensive than our average prices. From $2 sandwiches to $5 cab rides to $10 museum tickets, to $75/night 5 star hotels with breakfast, its safe to say that $100 a day on activities will cover plenty (considering pre-paid hotel). Souvenirs can be expensive if purchased in the tourist area, so be sure to ask about the local markets when making bigger purchases! It's almost 3x more for the same present in the tourist bazars! Most places will accept credit cards and US cash, but I changed $200 to Turkish liras at the airport to not run into any trouble with cabs. I was lucky enough to be visiting a city and having cousins who live there! They took me to SO many amazing places in Istanbul in my short stay. We began the day by heading to the main Sultanahmet Square. 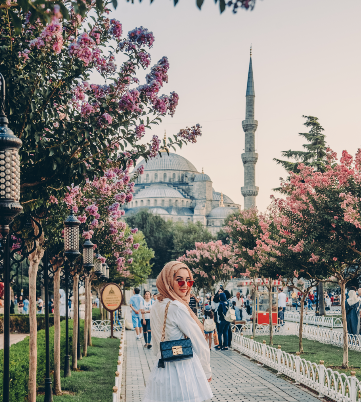 As featured in my first images above, its a large park with beautiful flowers and fountains, accompanied across by the two large structures- Hagia Sophia Museum and Blue Mosque. We went into both and it felt like you were walking into ancient history of where the Ottomans battled it out with their enemies (despite all the tourists everywhere). Next, we walked into the city to catch a ride on a ferry in the Bosphorous river. Personally, I wouldn't recommend this as a first day activity because I fell asleep most of the way with alllll the jet lag and gorgeous Turkish breeze hitting against me on the boat. But, it was amazing to see all parts of the city in both the Asian and European side. Fun fact: The European side is the antique, classic, tourist area. The Asian side is the modern city with tall buildings and business districts. Afterwards, we took a stroll through the Grand Bazaar and all its accompanying bazars. Its an amazing place to buy cheap souvenirs like candies, toys, scarves and more. I saw so many items that reminded me of Damascus (like the evil eye beaded blue bracelets, and halal cotton candy sticks), so I had to grab a few for my family! We went to a Turkish restaurant outside the Grand Bazar and watched a whirling dervish perform (it was quite dizzying) but super relaxing. 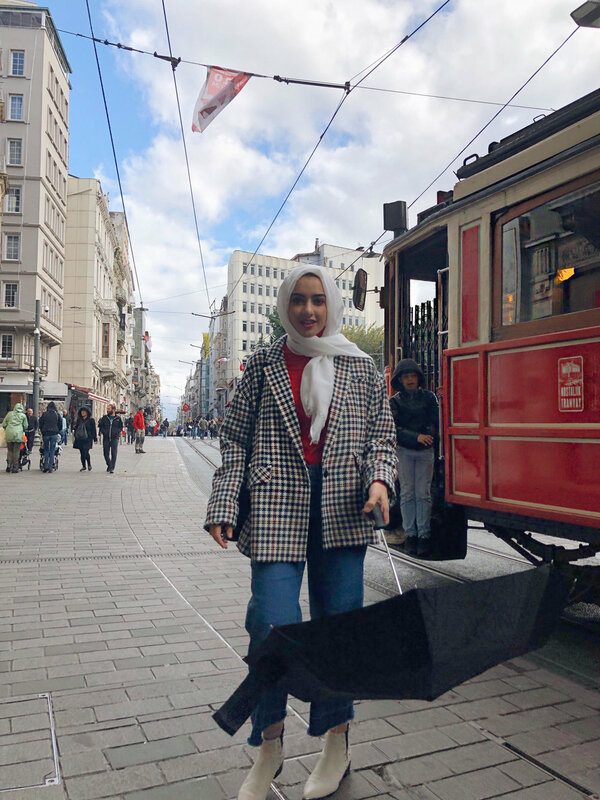 On another day, we took a cab to the Istiklal Street area, which is where the famous images of the street trolley up the hill surrounded by stores is pictured. The trolley was currently taken down for repairs, but hopefully it'll be back soon! Near Istiklal street is the Galata tower, which holds a gorgeous view of ALL of Istanbul. Every single corner from the seaside front to the hilled apartments to the two main museums/mosques. There was so much more to see, but that's all the time I had! So, Istanbul is absolutely known for its street foods. I had so many delicious, amazing foods (and unfortunately I also got food poisoning one day from eating a falafel breakfast). Here's what I loved! Laban Ayran: This is a Middle Eastern yogurt drink, and they can make it in front of you with foam bubbles in the Old Grand Bazar area! Yogurt is always clean to eat. 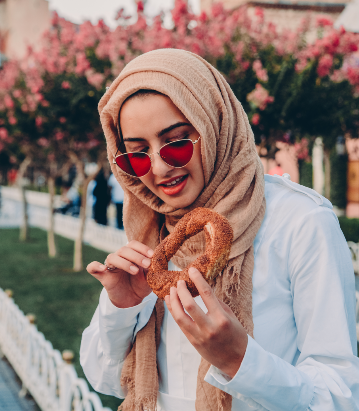 Simit: This is a bagel-like sesame pastry thats sold in a lot of the booths in the streets (such as in the photos above). Its perfect to satisfy a hunger craving without making a greasy mess. Shish Tawook and kabobs: Turks are known for their version of bbq (mashawi), so be sure to try it fresh for dinner! Turkish coffee: Its definitely an acquired taste, but being the coffee lover I am, its so good. Rahaa "Turkish Delight": This is a sweet made of starch and sugar, combined with so many flavors like pistachio, rosewater, chocolate and more. Its made in powdered cubes. So, as I mentioned earlier, my time was super short in Istanbul, and I would've loved to visit the Topkapi Palace, Taksim Square, Istanbul Modern Art Museum, the all womens beach resorts, a Turkish bath experience, the entire Asian side of Istanbul and more! But, its always nice to leave room to come back again. Planning on visiting Istanbul? Leave a comment below with your questions or comments, and safe travels! I received a call from Super Charge Agency about a month ago. They told me about an amazing opportunity to travel to Cuba in the beginning of June along with their team and a group of bloggers. My instant reaction was an unfortunate decline, as it would be Ramadan and I’d be fasting. The organizers completely understood. A few weeks later, they kindly followed up to ask if I changed my mind at all and had reconsidered coming out while fasting. At that point, I felt like I could use a little bit of adventure in my life and so I said what could possibly go wrong with fasting in Cuba? I took the amazing offer and flew out to Havana with the team, and really, without having read much beforehand. I absolutely love to learn about new cities, cultures & customs, and I always come back from a destination reading more about the country I had visited (and realizing I should've done my research beforehand so that I could've appreciated it even more in the moment!). I had read about Cuba before flying out, there was still so much more that I had learned from being there. So today I'm going to share a few experiences on things to expect when traveling to Cuba so that you come fully prepared, find a lot of enjoyments, and don't have many disappointments! HOW TO GO: The number one thing I've been asked is how to travel there. For US citizens, all you must do is go up to the counter of the airline you are traveling with and purchase a visa in the airport before your flight to Havana. In addition when filling out your information at the kiosk to receive your boarding passes you'll just be asked a few more questions about your trip such as where you will be staying and any sicknesses you may have had in the past. Because tourism is still not allowed to Cuba by US citizens formally, be sure to choose the “educational purposes” option and under that category the “people to people” option. If you were to be ask any questions in the way back, you can say something along the lines of learning Spanish while in Cuba, or completing a research project. Immigration on the way back was super easy for me thankfully. FOOD SITUATION: The number one thing that surprised me and Cuba was the lack of food. I don't mean just grocery options— I'm talking about the minimal street food, snacks, and the variety of cuisine in general. A lot of the restaurants there are run by the state and so they all serve a similar menu consisting of ham and cheese sandwiches, lightly seasoned seafood, few protein options of beans, rice and meat, and fruit mixed with salad. This is really due to government policies in the past, ranging from the US embargo, to the lack of ability to expand agriculture in the city and so on. A majority of their food is imported from Venezuela. 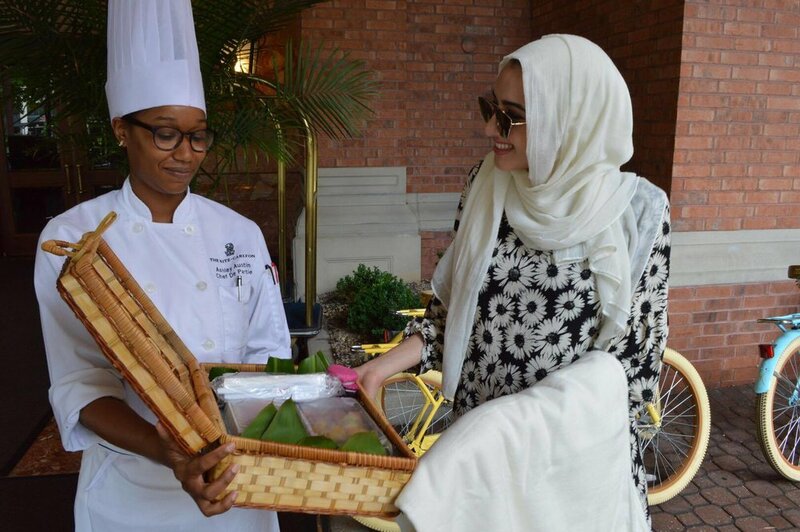 Recently, there have been even more food shortages because of the influx of tourists coming on cruise ships and so this really leaves local restaurants and markets unable to provide many options for both their people and tourist. On the other hand, because the island is so rich in growing fruit, their juices are to die for— especially mango! You often see way more drink options over food options in menus. 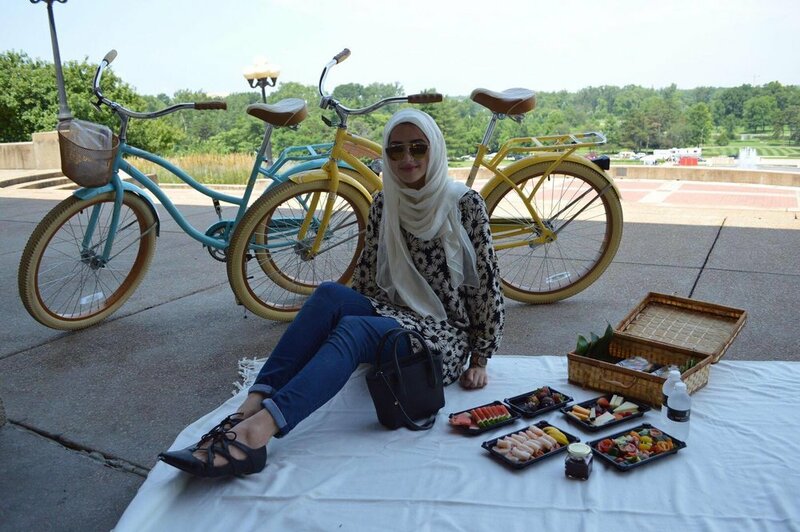 The situation was really easy, thankfully, because I was fasting— so most of my day was spent not seeing much food! My recommendation would be to bring a lot of snacks with you and anything you might be craving throughout the day, because you will not be able to easily find it. Knowing me, I brought loads of granola bars, a big bag of Chex mix & hot Cheetos, and a little bag of dates for breaking my fast. BUYING STUFF: Another surprise was the lack of ability to use US currency. There aren't many things to purchase, but for the few souvenirs I wanted to bring back home, I had to switch money with one of the group members since I had not exchanged my US money to euros in United States. From there I could come to Cuba and switch my euros to CUCs. There is not much Cuban money in the United States and there is not much US money in Cuba. PACKING: Pack everything you may possibly need on the trip. Whether it be bug spray, shampoo & conditioner, sunscreen, or even feminine hygiene products, it will be difficult to find it immediately in Havana. Be sure to bring extra clothing because you'll find yourself getting very sweaty and hot throughout the day and changing clothes in order to keep cool. I found myself taking about 2 showers a day just cool down from the heat. SAFETY: One thing to note is that Havana is super safe to walk in at night. The team and I found ourselves walking through the streets at one in the morning and very be huge crowds everywhere chatting and drinking. Now this doesn't mean to not take any precautions as you should be careful everywhere you go but I definitely felt safer in Havana at night then I would ever in downtown East St. Louis at midnight! WIFI: I was told that the Wi-Fi signal would be bad but I didn't expect it to be as hard as it was once we arrived. There is no public Wi-Fi in Cuba— instead you must bring your passport with you to a communications shop that sells Wi-Fi cards for purchase by the hour. After purchasing, you take the Wi-Fi card with you to a hotspot, which could be at a hotel or a park. From there you try to connect to the signal by signing in with a username and password. It's often hard to get a signal because there are a lot of people in the same area. You'll spend time refreshing your Wi-Fi up to 100 times almost in one setting in order to get a connection. If you are scrolling on your screen for about 30 seconds and don't refresh the Wi-Fi signal you'll lose it and so you always have to be sure to do something that requires loading. Also, Snapchat is one of the apps that does not work in the country. I learned to do without the social media, the emails, the updates for five days— and it was amazing! One thing I did find to really appreciate about the country is because there is such a lack of Wi-Fi signal, a lot of people are always communicating. I sat and had a conversation with one of the souvenir shop owners and ended up spending an hour talking about random things in life with her using my broken Spanish. We had so much in common. It really felt like I went through a time warp similar to my childhood visits to Syria every summer. Even though I had just met the group at the trip we all instantly became friends and I felt like I had known everybody for years. There were so many more sites and destinations within Havana I wished we could have visited, but it's totally great because it leaves room to return with my fiancé and parents! The #1 thing I could recommend for this trip is to bring people who really love to spend time with since you will be with them 24 hours a day and not communicating with anyone else. If you find yourself having any more questions (since I know I did not answer a lot but just shared a few experiences), then please feel free to comment below or send me a message through Instagram. I’d absolutely love to help guide your next trip! 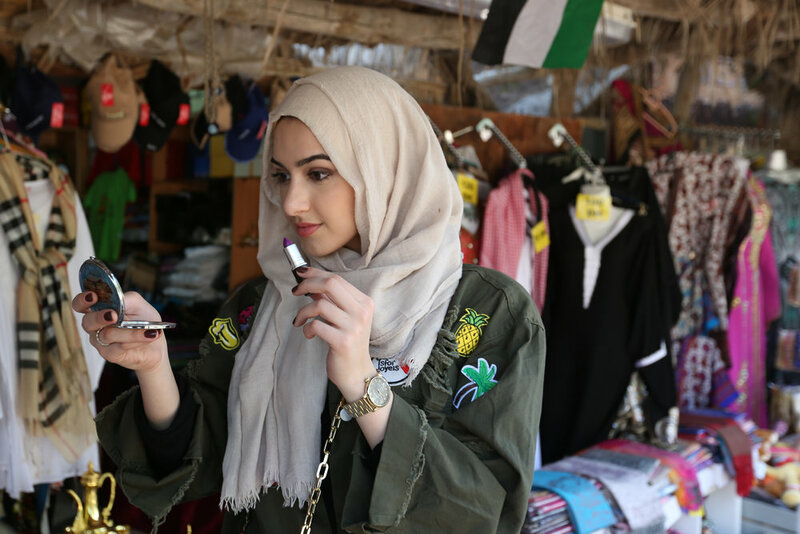 Today I'm sharing all about my first ever desert safari experience in Dubai! I was recommended to try Platinum Heritage by a friend, so we decided to book with them. Here's what I learned about on the trip! First of all, t's a guided tour experience. This means that instead of crazy riding in the sand dunes, you're taking a smooth car ride in 1960s Land Rovers throughout the conservation lands and learning about Bedouin rituals, environment and history. I honestly came back learning so much more than I had expected, such as how the falcons inhabit the UAE for only a few months a year and are trained as hunters by Bedouins. 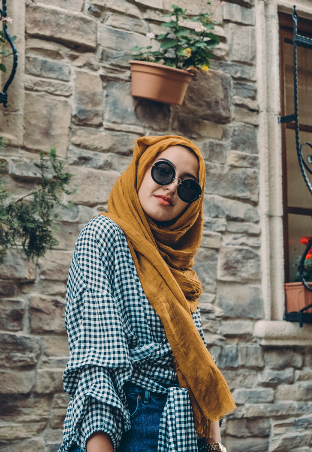 We all received scarves to wear throughout the trip as a souvenir, whether to cover your eyes from the sand, or tie on your head from the heat. I already wear a head scarf so I tied it on top to keep my scarf from flying in the car ride! After the guided car tour, we spent some times in the dunes, then made our way to the carpeted area for a falcon presentation. We were greeted with sparkling date juice, bottled iced water and dates. It was such a beautiful sunset experience, and fascinating to watch the falcon dive for its meal! Lastly, we headed out in our Land Rovers in the late dark night to our Bedouin inspired camp, where we would take part in UNLIMITED camel rides, drink a variety of local drinks like arabic coffee, karak and even camel milk, take part in an amazing arabian feast with all your favorite appetizers, rice and meat (and desert!). They ended the night with performances from a male group of Emiratis, then the female "hair dance". Afterwards, all the lights were shut off to gaze at the natural starlight. 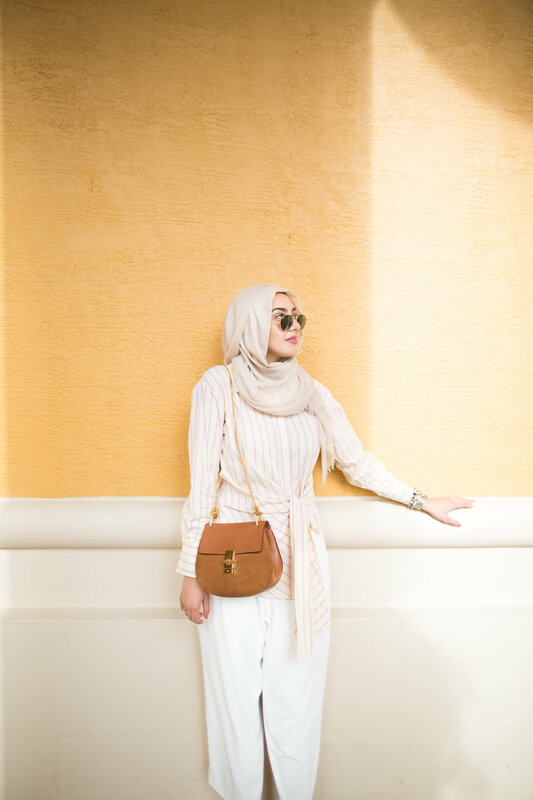 I found this outfit last minute in Dubai before our trip! I had not packed lightly for the extreme heat (105 degrees F) and luckily, this outfit really came in handy for preventing excessive over heating. It's a two piece tank and pant look, paired with a long lightweight cardigan, black sandals, and a red scarf to top it off! I found myself matching quite well with the camels on site-- totally unintentional. Overall, I'd definitely recommend booking with Platinum Heritage next time you're planning a desert experience for you and your family! I was in Florida two weeks ago, and I'm still dreaming about the serene beach and beautiful landscapes in Key Biscayne! For those of you who have never been, Key Biscayne is located just a short 15 minute drive from Downtown Miami. I had the opportunity to stay in the hustle & bustle of the city for the first few days, then take time off to relax on the quieter, beachy-er side of Miami at the gorgeous Ritz Carlton Key Biscayne Resort. For any of you planning a trip down south this year, you'll want to be sure to consider Key Biscayne as your next destination. Here are my top five things to do in Key Biscayne at The Ritz Carlton! 1. RELAX! The best part about the resort is that you don't have to leave throughout the day to enjoy activities around town. When traveling to busy cities, I'm usually waking up early to go and explore everyday. This time it was so much different-- I could stay at the resort all day and have the whole day to plan as I like with all the things to do on site. 2. Bike Tour. Take a break from driving and head out in one of the available bikes on site for a self tour around the property. Key Biscayne is like a cute little beach side village, and the best way to take it all in is via biking with your partner! 3. Dine beach side. From tacos to burgers to modern coastal fare, there are a number of beach front restaurants to choose from at the Ritz Carlton Key Biscayne (and most don't know that they're actually open to the public!). I tried Lightkeepers and would highly recommend it to anyone wanting a relaxing weekend night! 4. Wellness. Whether it be enjoying a tennis lesson, playing a game of frisbee in the fields, exercising at the gym, or visiting the tropical oasis luxury Spa on site, you'll be sure to leave feeling healthy and high spirited. 5. WATER. You must visit the beach if you're staying here. With easy access right outside your hotel room, its so necessary to spend a day in the sand then wash right up with the convenience of your room nearby. There's paddle boarding, sailing and kayaking all available at the Biscayne Bay front of the resort. If you're not into sports, then lay back in the available lawn chairs on site and enjoy a good book. Lastly, feel free to browse links to both looks below! I arrived to NYC directly from the Caribbean on a cold, snowy day (weather shock!). However, I was super excited to be staying at the Lotte New York Palace for NYFW. Located in Midtown of Manhattan on Madison Avenue, the Lotte New York Palace is truly a gem to in this legendary part of town. The interior decors are very luxurious, while also very modern and chic. During my visit, I stayed in the junior suite, located in the Towers of the New York Palace (on the 40th floor). Compared to many NYC hotels, this room was extremely comfortable in size. From an open entry way, to a roomy bathroom, the suite was definitely big enough for one person, let alone four! My favorite thing about the room was the ready made built in closet. I immediately went ahead and organized my outfits and unpacked. It made life so much easier for switching outfits for shoots and events the next morning. Of course, all that wardrobe came from two more suitcases (along with my Caribbean wardrobe stored away!). My next favorite thing about the room was the black & white bathroom. The decor was just so chic and and trendy, especially with the chandeliers! It made getting ready in the morning so relaxing and exciting. I loved how the hotel includes beauty products from Molton Brown. I didn't have to unpack a majority of my beauty and cleansing products, since it was all ready available to my taste. Additionally, the hotel is very open minded in regards to international guests and their cleansing routines, so the bathrooms included a duvet! My ultimate favorite thing was the NYC skyline views from the room. From busy pedestrians to yellow cabs to tall building views, the city views never ended. Day or night, I loved sitting by the window and holding a little part of the Big Apple in me. Lastly, the PR of the hotel was so thoughtful to send chocolates and treats from their patisserie downstairs. I loved grabbing espressos from their every morning (lots of caffeine to keep me going!). I had to bring a majority of the chocolates back home, otherwise I might have gotten a cavity from the amount of sweets. It was truly bliss. Here, I'm featured wearing an ELLA Dubai fur sleeved top, paired with a frill top underneath to give it structure and length. I paired both layers over a midi skirt from H&M, and topped it off with an Inayah gray coat (because it was COLD). In addition, I'm wearing a bunch of black accessories, ranging from tights to glossy boots, to leather gloves, to Miu Miu black sunnies and a bag from Gucci. I kept most of the accessories simple, that way the gold tones of the accessories and fur were most prominent. I definitely felt very "5th Avenue" like in this look! Arriving to the hotel to a gorgeous delivery from Give Landeau. Seriously, SOHO is my fave <3. TY-LR Australia blazer, H&M skinnies & block heels. I am so happy to have spent 24 hours in beautiful NYC with L'Oreal Paris shooting a fun brand campaign! I met such amazing people on set and can't wait to share the final results this Fall. Meanwhile, I had about 50 minutes after finishing a day in the studio to walk around. The first time I went to NYFW, I remember feeling alone and overwhelmed by the big city. This being the third visit to NYC that year, I feel so much more connected and overjoyed by the bustling atmosphere of the big apple. Til next time NYC!